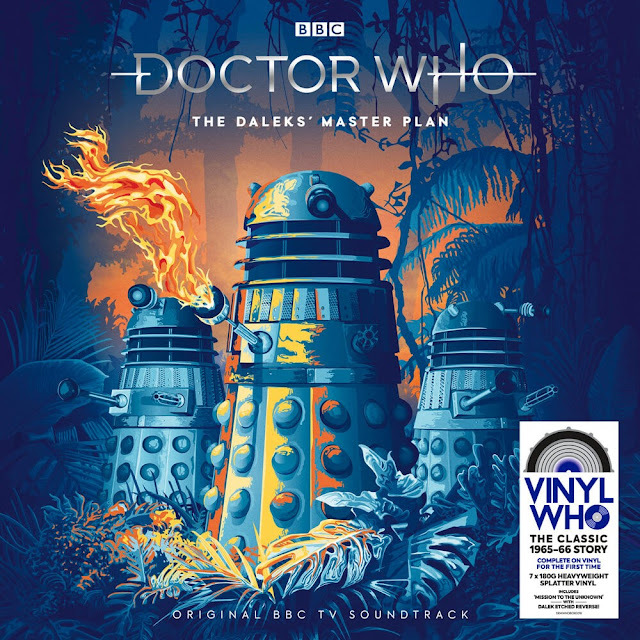 Demon Music are releasing the 12-part ‘lost’ adventure The Daleks’ Masterplan, first shown on BBC television from October 1965 to January 1966, as a narrated full-cast TV soundtrack on vinyl! 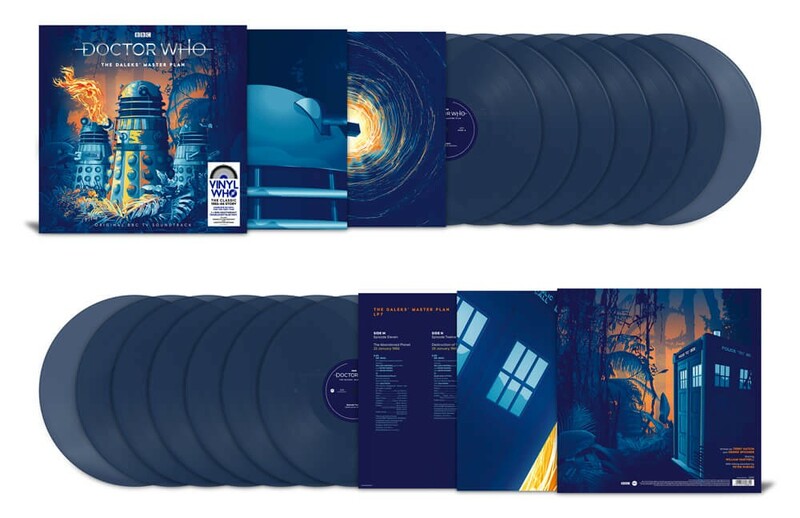 The adventure is presented across 7 x heavyweight 180g blue translucent vinyl. A version with 7 x heavyweight 180g splatter vinyl is also available exclusively from Amazon UK. Written by Terry Nation and Dennis Spooner, this is the longest single Doctor Who adventure ever made for television and film recordings of all but three episodes are lost from the BBC archives. 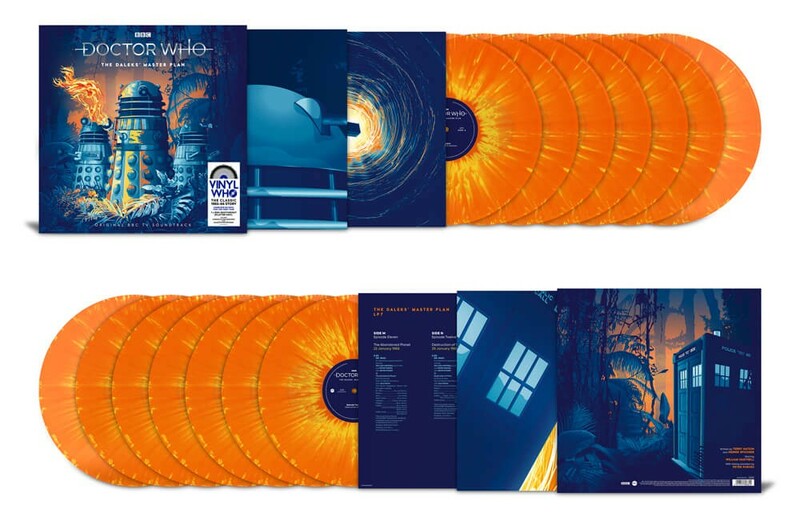 Linking narration is provided by Peter Purves (who played First Doctor companion Steven Taylor) and the cast includes Kevin Stoney as Mavic Chen, Nicholas Courtney as Bret Vyon, Jean Marsh as Sara Kingdom and Peter Butterworth as the Meddling Monk.